Dreams.pk enables you to get your favorite products to be it freezers, electronics, mobiles, bikes or other such household equipment, on EMI online and cash. In our categories, you can purchase Mobile, air conditioners, Cooling Appliances etc. on monthly installments. You can enjoy installment in Pakistan, no matter where you are or when you want it. An online installment in Pakistan has never been this easy and reachable before. This website allows you to buy in monthly installments with zero down payment freezers through a trustworthy channel. Nowadays, most of our work has been made a lot easier through the helping hand of electronics for various purposes. One of the most important of them is the freezer, which helps us in keeping our food fresh. Freezer has become a necessity, easy access to them in terms of freezer on installments can be done on Dreams.pk. This wonderful initiative is taken by Awais Farooq who is also the founder of an online comparison website, Comparebox. Dreams.pk have a vast collection and variety of all freezers from local to popular brands sold in Pakistan. You say the brand and dreams.pk will have it. 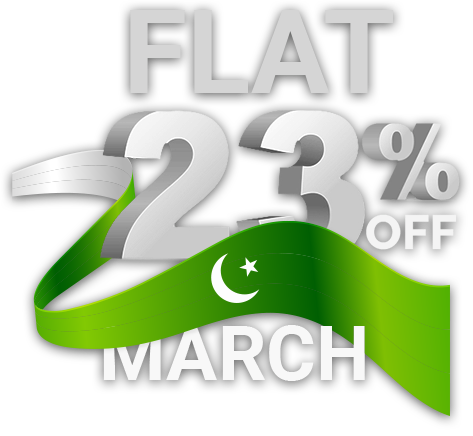 Moreover, Dreams.pk is also consider among the top best websites that deal with electronics on installments in Pakistan. We offer best rates on cash as compare to the rates offer by other online leasing stores in Pakistan. Dreams.pk also allow you to track your orders and that too by very easy steps. Just click your order history that appears on our website and keep an eye on your order. Our website, Dreams.pk has every kind of freezer. These freezers include the most stylish ones with designs and glass doors, the elegant and large double door freezers and the most advanced and configurable ones too. This simply means that our website has every kind of freezer you will ever require and these features make Dreams.pk as one of those very few successful online stores that allow all the consumer of Pakistan to buy their desire products both on installment and cash as per their convenience and budget. This online retailing website offers different affordable plans for home electronics appliances on installment of different brands that are readily available for the local Pakistani customers. These freezer brands available on dreams.pk, include Dawlance, Orient, Samsung, LG, Pel, Haier and many more. This means that now anyone can purchase any model of freezer on installment in Pakistan on lease and cash. Our website also facilitates you in the buying of expensive freezers, double door freezers, and the latest highest tech freezers. These freezers can be bought by selecting flexible installment plans according to your down payment or cash. You can even buy freezers in installments without interest. Here on this website you can get freezer on installment online and a lot other home appliances that you want for your home but can never save enough to make a direct purchase, this website will be a lifesaver, it will put your home requirements and savings to the best use by these wonderful installment plans. A vast majority of costumes in Pakistan believe that the products they buy on lease or cash from different online stores are not always very good quality, they’re either a compromise on quality or are not original, whereas Dreams.pk makes sure that this is not the case. The major reason for shopping on our website is the easy availability of a vast variety of products. Either you want Haier freezers on installments or Pel freezers on installment, to find your desire product, you only make a few clicks which make the process hassle-free, hence if you are tire of going all over the markets to find your suitable rates or deals, can’t take out time to visit local stores or markets to buy your favorite and latest freezer on installments and are unable to find your favorite company or model anywhere? Stop your search right here, because the solution to your problems is definitely dreams.pk as it is the best website for the freezer on installments in Pakistan. Hence buy freezer on installments online through the best electronics installment’s website in Pakistan.